Chioma Umeha: What Is Intracytoplasmic Sperm Injection? Intracytoplasmic sperm injection is commonly referred as – ICSI. 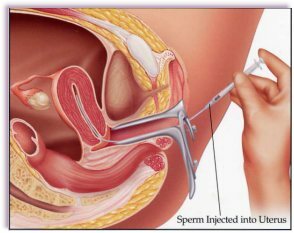 It is a simple way of saying “inject sperm into egg.” ICSI is a very effective method to fertilize eggs in the invitro-fertilisation (IVF) lab after they have been aspirated from the female. Its main use is for significant male infertility cases. The needle is carefully advanced through the outer shell of the egg and the egg membrane – and the sperm is injected into the inner part (cytoplasm) of the egg. This usually results in normal fertilization in about 75 to 85 per cent of eggs injected with sperm. ICSI can also be used where there have been previous IVF with no fertilization – or a low rate of fertilization (low percentage of mature eggs that were normally fertilized). Sometimes IVF with ICSI is done for “egg factor” cases – low ovarian reserve situations. This is when there is either a low number, or low “quality “of eggs (or both).